I have a question regarding using one rein, versus two, while riding and stopping your horse. 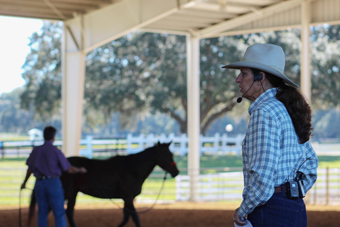 When I ride with two hands or use the one-rein stop on my horses, it seems to calm them and refocus their attention. My pony keeps her head up when I’m attempting to ride her in a collected frame. When I first got her she was so nervous about the bit in her mouth and what the rider might do. We outfitted her in a loose-ring snaffle, which has helped her put her head down somewhat. I have a 10-year-old horse that was born on my farm. From day one has been an ADD/spooky horse. He has been a challenge! Although we have made progress, it seems like I’m always going back to square one. My background is in dressage, but I do a lot of ground work too; some round pen, longeing, etc. I’m 15 and have been riding for 11 years. I just bought a Halflinger pony that stands at 14.2. He’s a pleasure to own but rests his head on the reins and often pulls. I would like to find out a way to get him lighter on the reins with lighter contact—but without him zooming off when I’m schooling him. I’ve tried lots of things. One trainer recommended that I put my rein and hand up on his neck then bring it back and repeat the process on the other side. 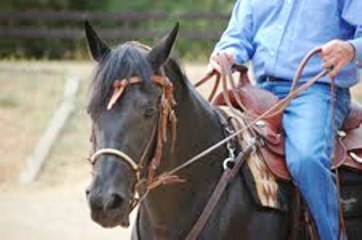 This does reduce his resting on the reins a little but it also encourages him to take off in a fast trot. 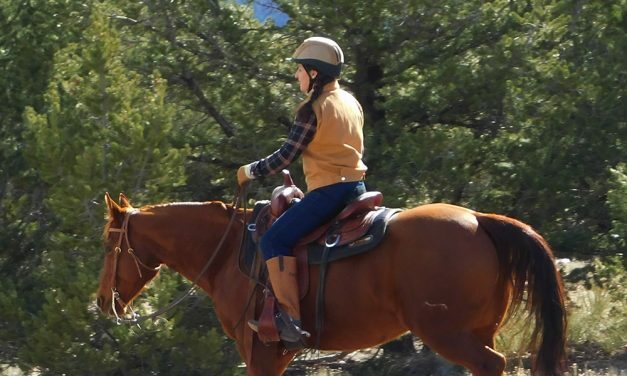 I’ve been taking riding lessons every week for a few months (I used to ride when I was younger). The school I go to is very good—your horses are very fit and mostly well behaved. My class of 4-5 riders is working in an arena. In the last few weeks, I’ve noticed that the horses are getting a bit excitable and fast. 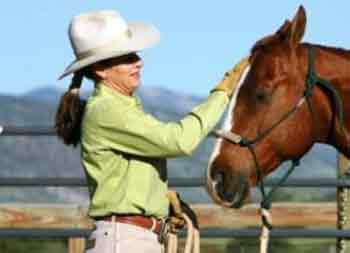 I can control my horse at the beginning, but when it comes to cantering my horse is difficult to control. 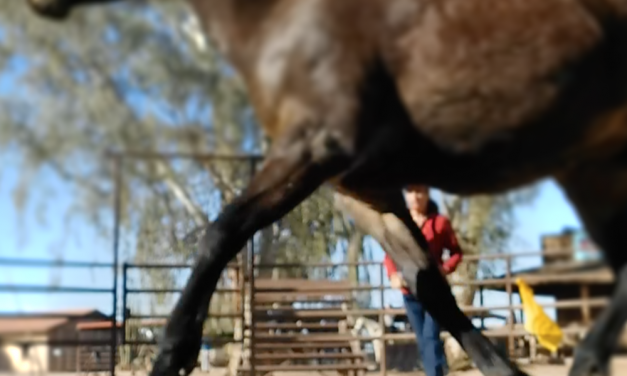 He raises his neck and is ready to take off—especially when other horses are excited. I am reluctant to canter at all now. I feel nervous and out of control and my horse knows it. What’s the best way control my horse at the canter? I’m a bit confused about rein aids—how they differ in English and Western riding. I’ve been hearing terms like direct and direct opposition, indirect and indirect opposition. What do these terms mean and when do you use them while riding? Imagine you’re meeting a blind date at a coffee shop, a setup by your friend who just wouldn’t take no for an answer. Even though you’re not really interested in a relationship right now, you arrive only a few minutes late, and looking across the café, you see a guy jump to his feet, frantically waving his arms over his head, a little too eager to get your attention. 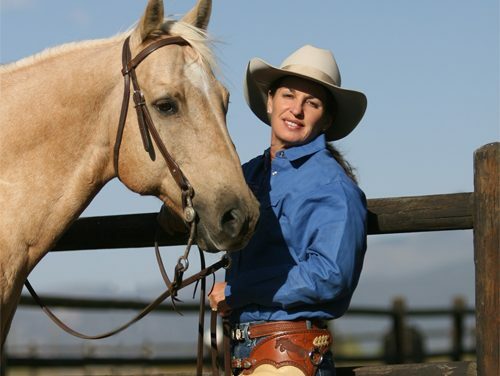 When you own horses, and especially if you keep them at home, sometimes it seems like your whole life revolves around doing their bidding—food service, housekeeping, valet service, maintenance. Most people who dream of bringing their horses home (after boarding them forever) are stunned to discover they have even less time to ride. Why? Because of all the other chores that need doing! 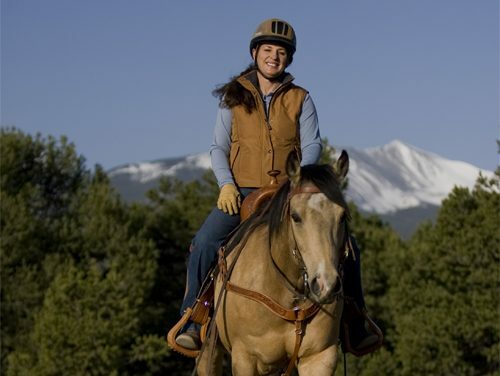 When was the last time you felt a lack of control while riding your horse, even if only for a moment? Was he spooked? Did your horse freak out because the other horses took off? During a tantrum your horse threw about leaving his herd mate? 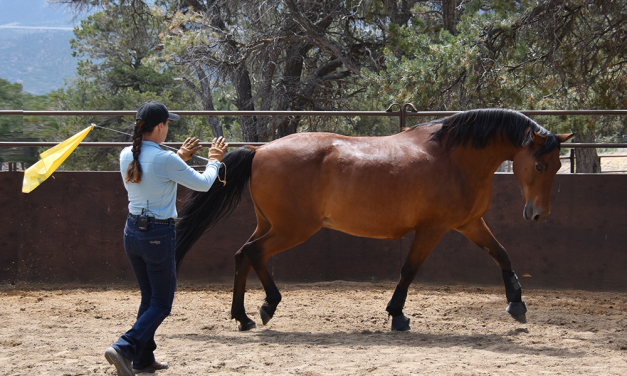 In the moment of panic—let’s say right after your horse spooked at a rabbit—most riders grab the reins and clench hard when they first feel a lack of control. 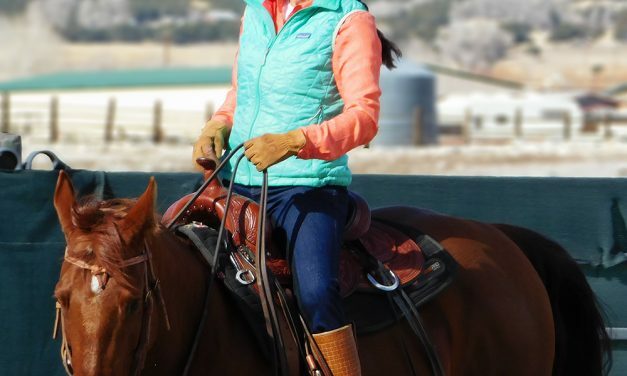 Often, they fail to shorten the reins first, so the reins are too long, causing the rider to lean back, hands flailing and out of balance too.